We often hear the word “recalcitrant” when speaking of a hard-to-remove tattoo. 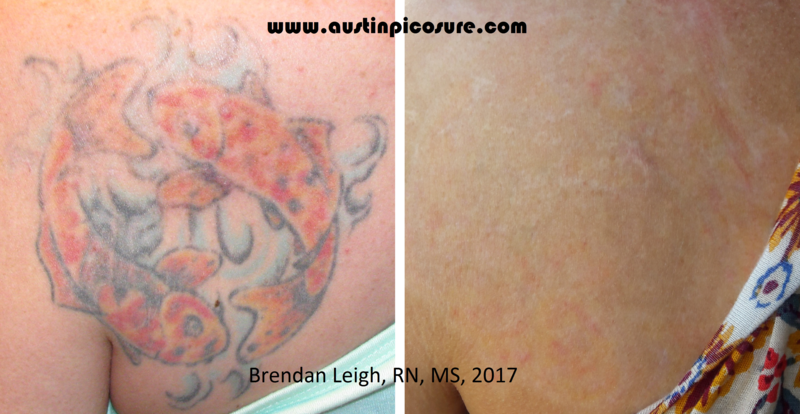 Technically, a recalcitrant tattoo is one that has visible pigment after 10 laser treatments. If you consider the fact that most laser treatments are roughly 6 weeks apart, this means a patient has undergone at least 10 treatments which have taken over a year to complete. I have had many patients who lost count of the number of their treatments. Many times these recalcitrant tattoos are scarred and visibly hypopigmented or discolored. One reason for the existence of tattoo “remnants” and recalcitrant tattoos is the inability of Q-switched lasers to remove tough or colored inks. Additionally, POS Q-switched lasers use a higher fluence (energy measured in J/cm2) which increases the risk of thermal injury to the skin. Fortunately, recalcitrant tattoos can be effectively treated with PicoSure lasers to remove the residual ink and hopefully diminish the appearance of the scarring. Want to talk about it? I can be reached by phone @ 512-479-9997 or just stop by my NEW location in Austin, TX: Austin Medspa on W. 6th St.